Posted on August 12th 2010, by Kevin. Recovering video game addict Kevin Roberts offers a step-by-step guide to recovery for those struggling with compulsive video gaming and internet surfing. Video gaming and Internet surfing are the top sources of entertainment for tens of millions of North Americans today. As these technologies continue to grow and flourish, so does the number of people becoming obsessively absorbed in the imagination and fantasy that they present. 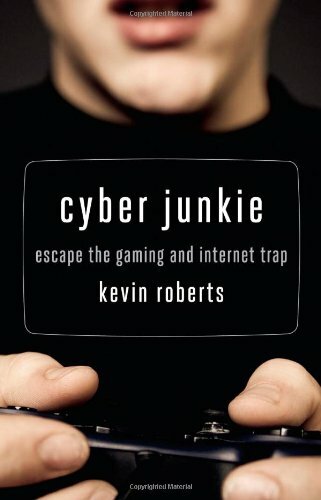 More and more people are isolating themselves, turning their backs on reality, ignoring family and friends, and losing their sleep and even their jobs due to excessive use of video games and the Internet–and they continue to do so despite harmful consequences to their mental, physical, and spiritual health, a telltale sign of addiction.In this groundbreaking book, recovering video game addict Kevin Roberts uses extensive scientific and social research, complemented by his and others’ personal stories, to give compulsive gamers and surfers–and their family and friends–a step-by-step guide for recovery. He outlines the ways that “cyber junkies” exhibit the classic signs of addiction and reveals how they can successfully recover by following a program similar to those used for other addictions. Readers learn to identify whether they have an addiction, find the right resources to get individualized help, and regain a rewarding life away from the screen by learning new thoughts and behaviors that free them from the cravings that rule their lives. Included is a guide for parents for working with their addicted children.